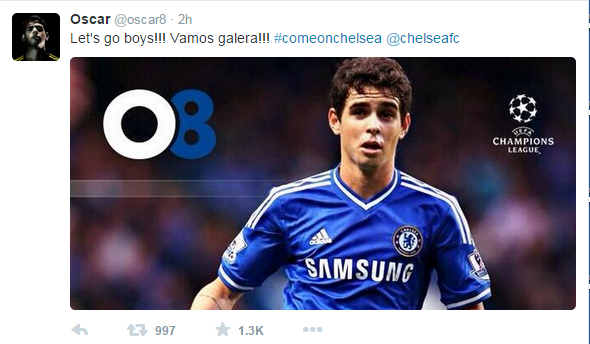 Oscar and Willian's Twitter message ahead of tonight! 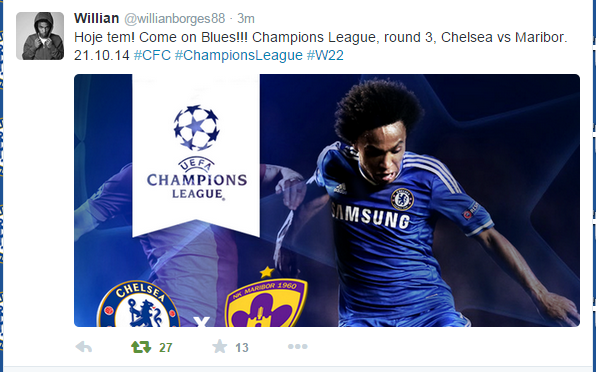 Oscar and Willian have both taken to their Twitter accounts to post message's to the Chelsea fans ahead of tonight's Champions League clash with Maribor. 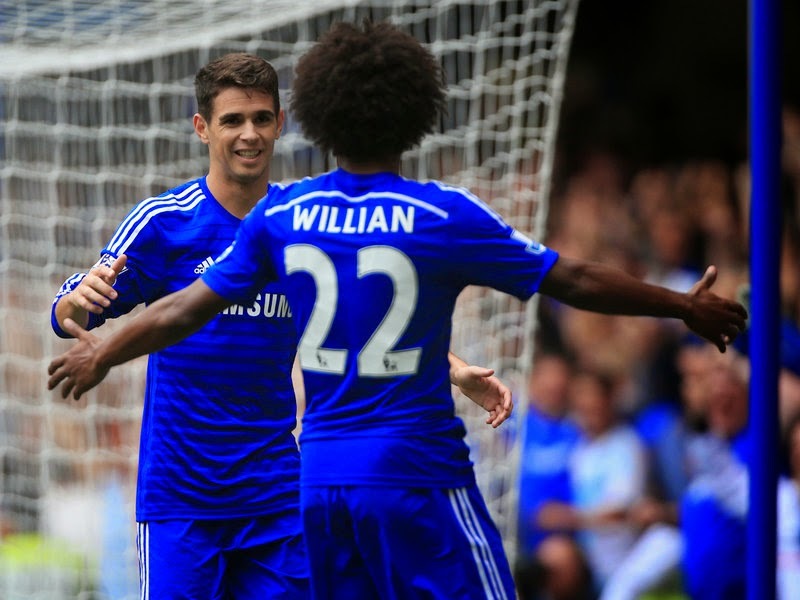 "Come on Chelsea" and "Come on Blues" were the messages from two our Brazilian's in what is another important game this evening. Do you have a team in mind you believe should start? Have a look here and see if you agree with the team I have selected !